Congratulations to the following 2018 CJSA Scholarship winners! Congratulations to the 2016 CJSA Scholarship Winners! Click on the names below to read the winning essays. Congratulations to the 2015 CJSA Scholarship Winners! 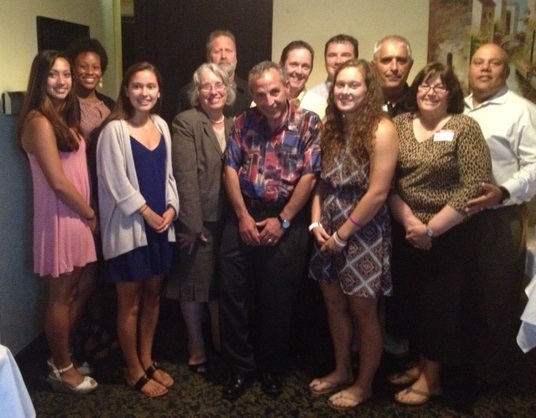 The 2015 Scholarship Award Winners were honored at the CJSA Scholarship Awards Dinner held at Michael’s Trattoria in Wallingford, CT on July 8th. Each recipient received a $1,000 scholarship check. Winners were chosen based on written essays, voted on by three past CJSA presidents. Along with the award recipients and their parents, CJSA Board members and Staff were also in attendance: Maggie Girard, Brian Grindrod, Brett Jones, Chafik Rebai, Milan Keser, Dave Rodriguez, Thom Meredith, Sue Schultz, Kathy Zolad, and Mario Prata. Read the winning essays below! !